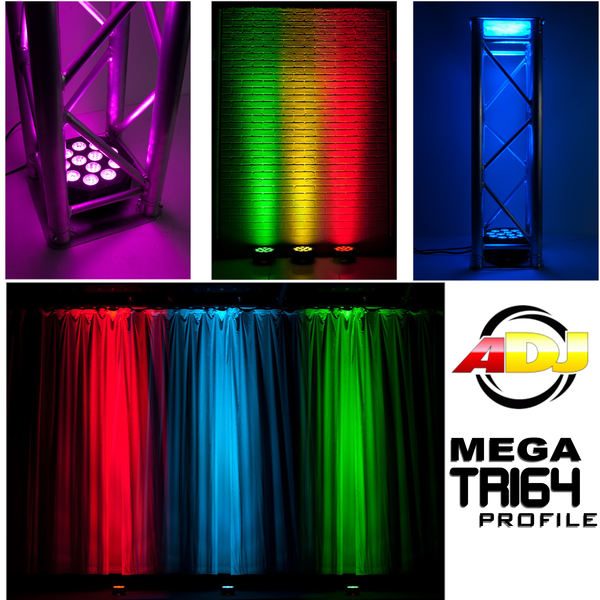 The ADJ Mega Tri64 Profile is a compact, low profile wash fixture designed for uplighting, stage lighting and wall washing, bringing color and excitement to any event. 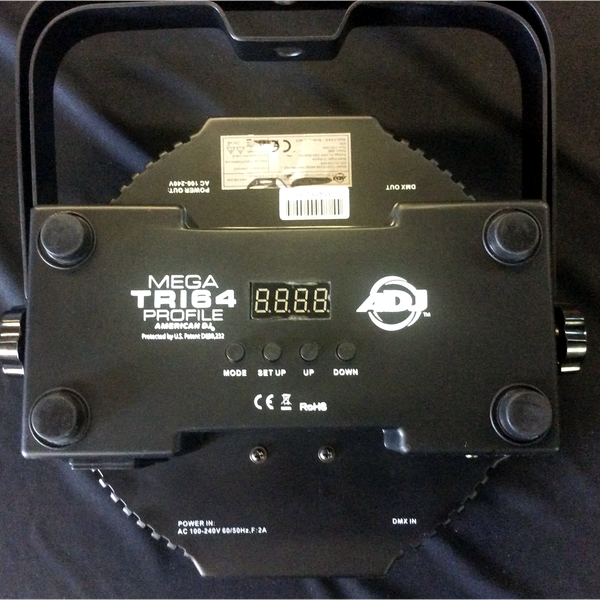 The Mega TRI64 is powered by twelve bright 3-Watt TRI (RGB 3-In-1) LED. This Par is intelligently designed so that it may sit directly on the ground or inside truss without the hanging bracket, as the power & DMX Inputs / Outputs occupy the side of the fixture, not the rear. 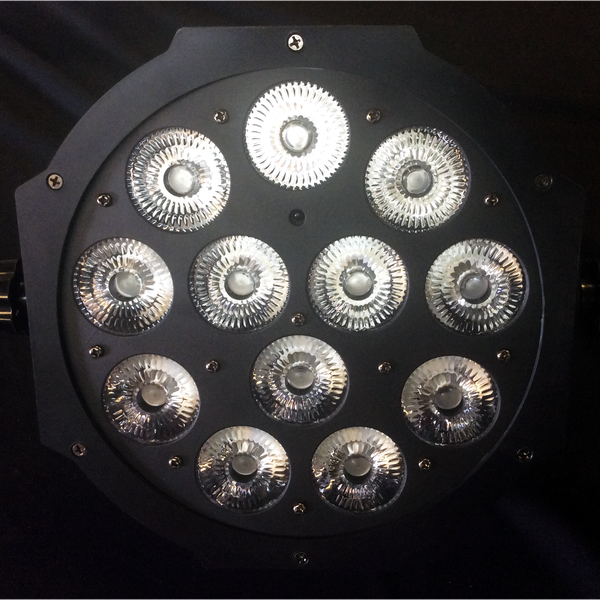 The Mega Tri64 Profile offers smooth RGB Color Mixing with no RGB shadows, has a 25-degree beam angle and 7 DMX Channel modes for a variety of programming options. 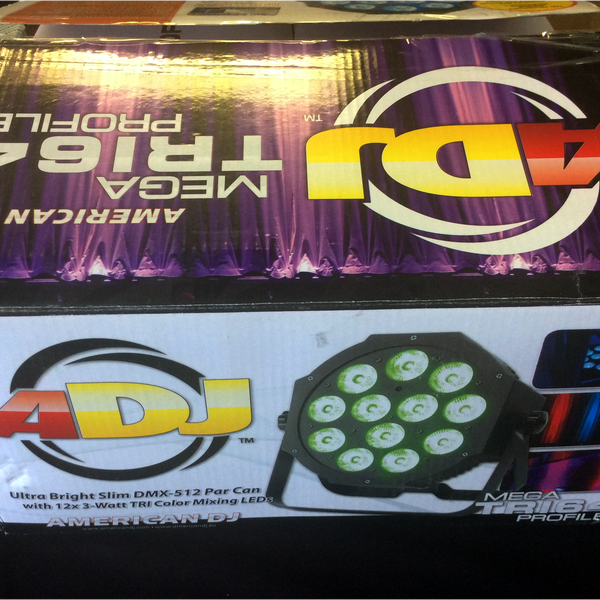 An ADJ LED RC wireless remote (sold separately) can be used to control the Mega Tri64 Profile remotely.